BLDE University MBBS Admission 2017 will be based on NEET Scores as per the order of Honorable Supreme Court of India. 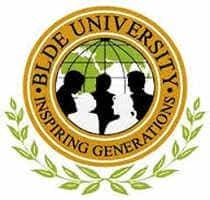 BLDE University for admission to SHRI. B. M. Patil Medical College, Hospital & Research Centre, Bijapur. The duration of MBBS Course is 4.5 Years + 1 Year of Internship. Candidates are informed that BLDE UGET exam got cancelled which was to be conducted in the last week of May 2017. The process of BLDE University MBBS Admission 2017 will be started from the third week of August 2017 to the last week of August 2017. The candidates who have already registered need not apply again but they need to upload their NEET scores, and the Fresh or New applicant who wants to take admission to BLDE University can apply now. As per the orders of the Ministry of Health & Family Welfare, Government of India, the counselling for MBBS / BDS seats in Deemed Universities shall be conducted by the Directorate General of Health Services (DGHS)As per the orders of the Ministry of Health & Family Welfare, Government of India, the counselling for MBBS / BDS seats in Deemed Universities shall be conducted by the Directorate General of Health Services (DGHS). Since BLDE University is a Deemed University, therefore, MBBS/BDS Admissions 2017-18 will be done on the basis of Common counselling conducted by DGHS. Get details on NEET Counselling 2017 for Deemed Universities 15% AIQ Here. Academic Qualification: Candidate should have passed in 2nd PUC or Class 12 higher secondary or equivalent examination. 40% for candidates belonging to Scheduled Caste, Scheduled Tribes and Other Backward classes. Candidate should have passed the qualifying examination in the subjects Physics, Chemistry and Biology/Biotechnology (PCB) with English as a compulsory subject and also, must have passed these subjects individually. Foreign/PIO/NRI students need not appear for BLDE 2017. Their admission will be based on qualifying examination marks. The BLDE ASSOCIATION has decided to give 10% of the total seats to meritorious candidates for the academic year 2017-18 at free of cost. Total Tuition fee and 50% of Hostel fee (if opted for hostel accommodation) will be exempted. Candidates whose ranks are within 2000 in Karnataka CET 2017 test are also eligible in the BLDEU 2017 for the MBBS course. As per the notification of UGC, the NEET scores is mandatory for admission to MBBS/BDS course in any government and private medical colleges in India. Therefore, to apply for the admission into BLDE University MBBS course, the candidates need to submit their NEET score. The process of applying for Admission Counselling for MBBS has started from the third week of August 2017 to the last week of August 2017. The candidates who have already registered need not apply again but they need to upload their NEET scores and the Fresh or New applicant who want to take admission to BLDE University can apply now. Size: 1 MB. Size: 1 MB. After filling the application form, the candidate has to take out its print out and affix their recent photograph and sign it. Class 10 Mark Sheet and Pass Certificate-SSLC/SSC/Class 10 Marks Card and Passing Certificate. Class 12 Mark Sheet- PUC - II or HSC or Class 12 or Equivalent examination (if the results are declared) marks card & passing certificate / Internet Marks card. Phone: Contact:Ph: 08352- 262770 (Extn: 2328).